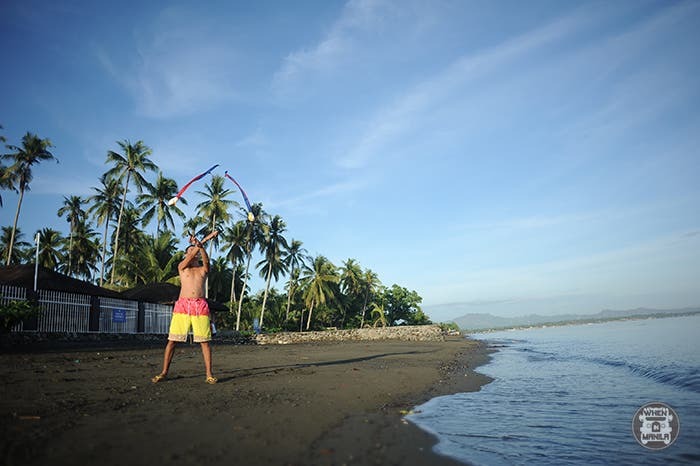 Tired of the usual tourist traps in Boracay? 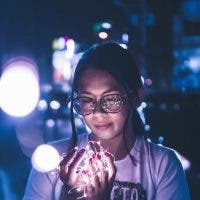 Looking for something unique and fun to do with your group of friends? Well, I’ve gots something for you to consider. 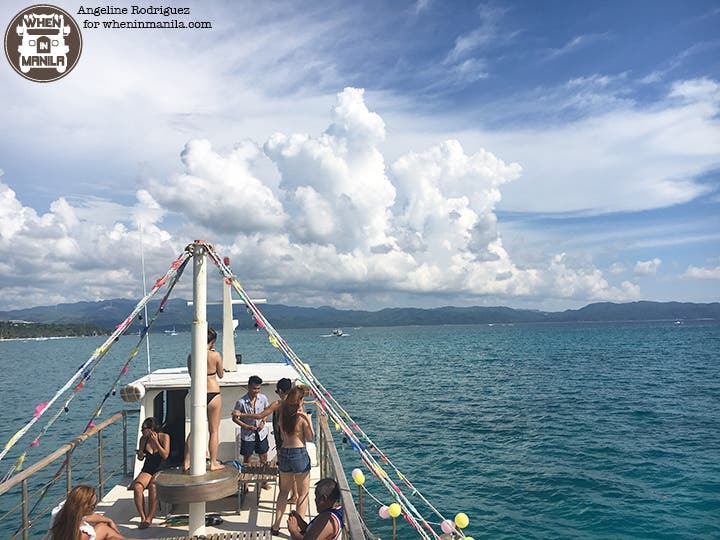 During my recent 48-hour stint in Boracay, I was able to experience an unforgettable party boat with an epic waterside called Boracay Suncruiser – and it is definitely worth checking out with your friends or family! The Boracay SunCruiser is Boracay’s Ultimate Pleasure Party Boat and currently ranks as TripAdvisor’s Number 1 Attraction in Malay, Aklan. Not only will you be able to navigate through an uncharted and truly memorable Boracay while on the boat, but you’ll also get to enjoy your own private space under the sun while drinking and eating the day away. Richie Ley, Founder of Boracay Suncruiser, shares that the design of the boat is very unique. If you look at it from afar, the impression is that it is just a simple ‘bangka’, but the boat actually has three main areas: the Indoor Saloon, which looks like a private bar; the Outdoor Decks, which are made for relaxing and enjoying the scenic views of the island; and the Upper Deck, where you can get the feel of being on a cruise liner, while sitting and relaxing on the many sun deck lounge beds. “We designed it I such as way that there is no room for boredom, and each one enjoys the luxury of space,” says Richie. The idea of building a boat came about when Richie Ley and his family and friends vacationed in the Maldives. Fresh from the trip and brimming with excitement, he shared his Maldives experience with this group of friends, the highlight of which was his voyage on a party boat. On one of those nights at friend Nats Imson’s local pub, they started asking around if someone knew a marine architect. Fortunately, the pub’s resident DJ knew just the guy, Kit Laureta. The Boracay SunCruiser was built with an indoor capacity of at least 20 persons, an outdoor capacity of at least 20 persons on each of the lower decks, and a capacity of at least 20 persons on the upper deck, for a total capacity of 80 persons, comfortably. 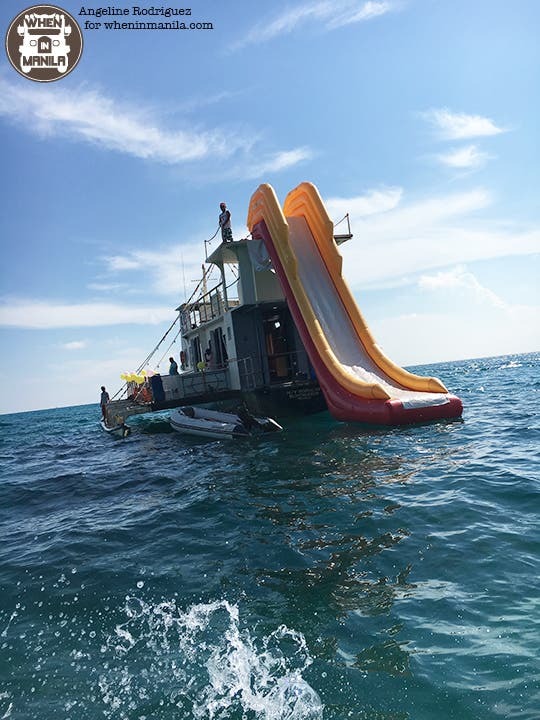 The waterslide is incredibly steep, but once the party boat stops in the middle of the ocean, you’ll have quite a bit of time to make your life decisions. If you need some help deciding, a sip or two of alcohol might give you the courage you need to get on it. Don’t worry. 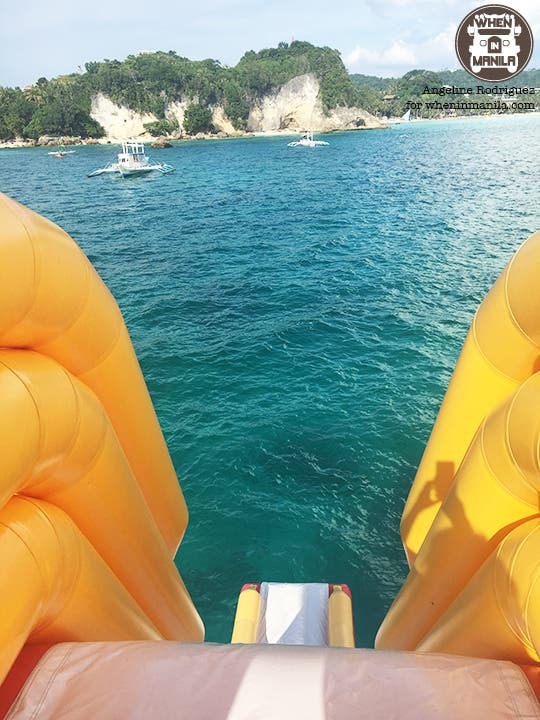 You’ll be wearing a life vest and they have a lifeguard who will be waiting at the bottom of the slide to help you out in case you panic in the end. My advice, though? Don’t overthink it and just take the plunge! This is definitely worth ticking off of your bucket list! Hotel Transylvania 3: A Monster Vacation is coming to Novotel Manila Araneta Center!